Brad was born on June 15, 1949 to Clarence E. and Elizabeth Ilene Remer in Townsend, Montana. From the time he was born, his Grandma Elbert nicknamed him “The Cowboy” so I guess you could say he was destined to rodeo. He grew up and lived in numerous places around Montana and Idaho because his father was an ironworker and needed to be where the work was. They eventually settled in Twin Falls, Idaho where his love for rodeo bloomed. Brad had a love and compassion for animals, especially horses. While going to high school Brad worked for a local stock contractor, Jake Pope, which hooked him on the sport of rodeo. In high school Brad rode bulls, roped calves, and bulldogged. His mom wasn’t willing to sign permission slips for him to ride bulls so he conned his moms best friend to sign the permission slips instead so he could ride each weekend. He was burned out with team roping early on because he turned out steer after steer for Jake. He eventually started team roping again after he got a call from a good friend, Buck LaRocque. He married Pam in 1973 and hung up his bull rope. He quickly picked the calf rope back up as he thought it better suited a married man’s lifestyle. His family supported him with whatever he did from that moment on and he lived and breathed roping. If it could be roped he wanted to rope it! He was even known to rope his kids and grandkids on a trampoline. He was president of the Atomic Days Rodeo, in his hometown of Arco, Idaho, for over 20 years. 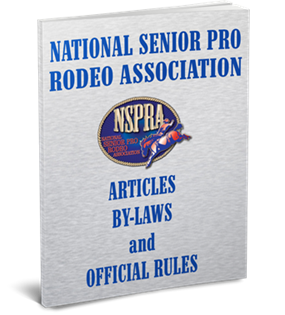 In the early 90’s Brad joined the National Senior Pro Rodeo Association, which he enjoyed very much. He loved going to Senior Pro Rodeos in Arizona, Nevada and Montana. In 1996 he was acknowledged as the oldest competitor at the ImPRA finals. He served as the calf roping director for the ImPRA and later as the NSPRA calf roping director from 2007 to 2009. His dedication to the sport of rodeo was evident as he was just as content behind the calf roping chutes as he was in the arena. He would never miss an opportunity to help a young roper trying to get started. One of his favorite sayings was, “do as I say, not as I do”. The family of Brad Remer considers it to be a great honor for him to be inducted into the National Senior Pro Rodeo Hall of Fame.